5G is most buzzing term in telecom industry since a couple of years now. As an technologies its going to be a enabler of many things that's going to affect the economies to far larger extent. I think while defining objective for IMT2020, even ITU-T was not prudent in sensing the power of 5G abilities that it can bring to world and impact at large. 5G seemed so far being taken as technology next to 4G, which would enhance the communication systems for more better and fast service provisioning and delivery. But the real power of 5G capability was reckoned, probably late, and that became the point of conflict for the dominance into 5G. As 5G, for many in ecosystem, is still on test bed and trails, vendors like Nokia is in phase of acquiring grant to do research on 5G. On the other hand Chinese vendors are far ahead and Specifically Huawei has not only taken leading position, far ahead of other, but having in the spree of dominance across the globe. We should also be noted that 5G is not a confined technology but a notion of many advancement constructed well for delivering connectivity services of all scale. We provided our whitepaper for that with a notion of "5G as large scale convergence", hopefully few could have understood. you may here with it (its for beginners too in 5G). Also most interesting part of 5G is that once it settle its gonna settle for next industry evolution or revolution, like it is there for industry 4.0 and will remain at least till industry 5.0. And that's a worry some for many who reckoned 5G abilities a little bit late. So the dominance into 5G should be distributed, not from particular vendors or from a specific land or part of world. That's all late rising community want a margin of time for many others to come forward in 5G field, and their intent is being reflected earlier through politicized game plan, but now even voices to restrain on 5G is appearing on major telecom service providers. As recently Verizon CTO spoken about to keep the 5G term reserved for future. Among all these matter, 5G is becoming highly politicized. As per the recent news Jeremy Hunt, the British foreign minister, arrived in Washington this past week for a whirlwind of meetings dominated by a critical question: Should Britain risk its relationship with Beijing and agree to the Trump administration's request to ban Huawei. In Poland, officials are also under pressure from the United States to bar Huawei from building its fifth generation, or 5G, network. Trump officials suggested that future deployments of US troops — including the prospect of a permanent base labeled "Fort Trump" — could hinge on Poland's decision. And a delegation of US officials showed up this spring in Germany, where most of Europe's giant fiber-optic lines connect and Huawei wants to build the switches that make the system hum. Their message: Any economic benefit of using cheaper Chinese telecom equipment is outweighed by the security threat to the NATO alliance. The administration contends that the world is engaged in a new arms race — one that involves technology, rather than conventional weaponry, but poses just as much danger to US national security. In an age when the most powerful weapons, short of nuclear arms, are cyber-controlled, whichever country dominates 5G will gain an economic, intelligence and military edge for much of this century. The views are from observations and perception, expressed by Saurabh Verma, Chief Technology Consultant, fundarc Communication (xgnlab). 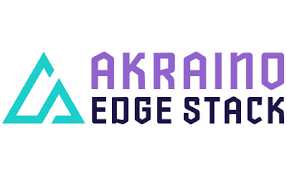 Linux foundation managed Akraino project backed by AT&T is going to provide open source software for mobile edge computing cloud preparation. AT&T has mega plan to decompose RAN functionality into distributed elements and Akraino is for that purpose. AT&T is relying on Akraino for high degree of orchestration and ease of deploying edge cloud environment. By decomposing RAN functionalities its can address various application demands and effective management of ran infrastructure. The Complete Akraino solution will be a combination of different elements provided through different software vendors. Why India should not go with the global wind of shortcoming with Chinese vendors like Huawei and ZTE. Amidst the much hype of 5G and intense attempts to thwarts the challenges around and gain the leads, there are interesting insights to be watched and allude for. I took some in context of Indian turmoil to include Huawei and ZTE in its 5G test bed plan. There are few industry cues to go with Huawei on 5G, or in general for Chinese vendors. 1. 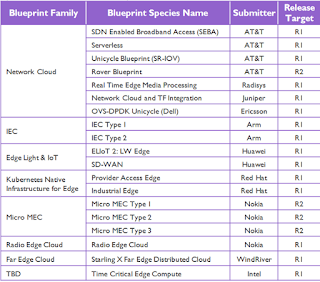 5G has been there across global in a very limited capacity so far, see the commercial deployment of 5G from Verizon and AT&T and SK Telecom and even the upcoming test beds, all have been in constrained and limited scope. 2. 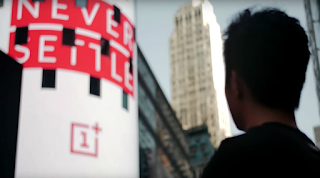 All 5G commercial deployment have been with rigorous criticism, like for Verizon home broadband service severely criticized by T-mobile CEO Mr Legere as "fake 5G". As it was on proprietary 5G standards based on Verzon 5G Technical Forum. Also the 5G Which came through AT&T is also under criticism as AT&T shown it with logo of '5G Evolution' not a clear 5G. Both vendors seems to be running on Samsung or Ericsson based equipment. 3. 5G Demonstration from Huawei has been at par with standards in comparison to others, Huawei leadership has been well recognized as BT Chief architect has already praised Huawei capabilities on 5G. BT Chief architect Neil McRae on Huawei capabilities and readiness in Global mobile broadband conference. "I've been to Shenzhen recently [Huawei's headquarters] and there's nowhere else in the world where you can see" the kind of 5G technology developments that Huawei has achieved, he noted during a panel discussion, though without highlighting any specific advances. "The other suppliers need to learn from Huawei -- the others are held back by old telco issues," he added. Not only Huawei but ZTE has also gone side by side with its remarkably innovative streak for 5G E2E Solution like FlexE for backhaul and X-haul kind solution and 5G Converge core for 5G core network solution. Apart from that ZTE solution also enabled pre-commercial rollout on 5G in Europe etc. ZTE, in partnership with Wind Tre and Open Fiber, accomplished Europe's first pre-commercial 5G network in October 2017, symbolizing a major step forward for 5G commercial deployment in Europe. ZTE seems to be first who satisfied IMT2020 for 5G core networks. ZTE's latest version of 5G core network is developed in compliance with 3GPP Release-15 specifications released in September 2018. By adopting SBA, micro-service components and network slicing, ZTE's 5G core network can achieve flexible and agile service innovation. ZTE recently announced successful 5G call with Chinese service provider china unicom. 4. 5G Ecosystem is in complete flow with Chinese vendors and Chinese innovation, Qualcomm investment wings has recently announced to fund Chinese innovative venture Baicell. Altogether global ecosystem does not take Chinese vendors in dissolute. 5. 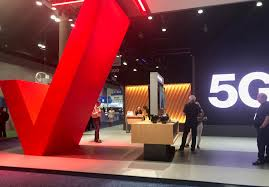 In an interesting move from Verizon CTO Mr Kely malady, where he recognized that true 5G has yet to evolve and hype around 5G is over hyped, as technology has not been in place in its true form. As per him, more has to come and 5G name need to be reserved for that. 6. T-mobile and Sprint also been reluctant to hype around 5G so far, in fact T-mobile CEO Mr legere called the current 5G as "fake 5G". And their debut on 5G has been around their existing infrastructures and with low spectrum band i.e. 700 MHz and 2100 MHz. 7. There was some interesting insights on 5G that could be conduced when Vodafone India CTO speak about 5G readiness as a software upgrade only. 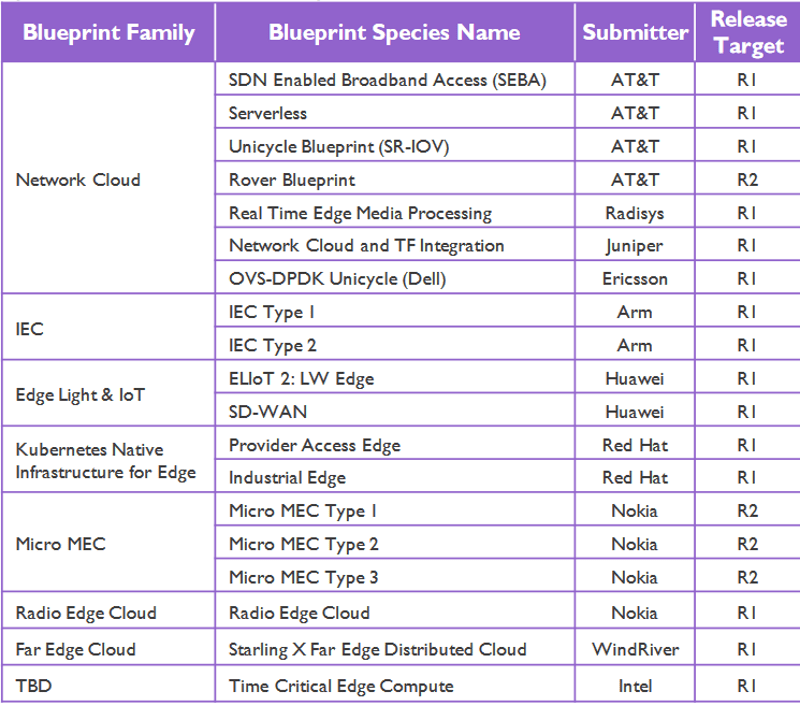 Among these all, which i refer to as cues around 5G progress and roll outs with commercials, pre-commercials and even test beds plans. Recent outspoken statement from Huawei CEO Mr Ren Zhengfei made the dust clear. "I personally would never harm the interest of my customers and me and my company would not answer to such requests," Ren said, as reported by Fox Business. As reported by CNBC, he told the assembled journalists at Huawei's headquarters in Shenzen, China, that "when it comes to cyber security and privacy protection, we are committed to be sided with our customers. We will never harm any nation or any individual. India has been in on and off situation while taking Huawei and ZTE for its 5G Test bed considerations. Whereas Indian Telecom export specific organization came up with strict restriction on Chinese vendors, but department of telecom and ministry of telecom given a separate stand after initial tussles - and given Huawei a green flag, though ignored ZTE. Reason behind accepting Huawei by Indian telecom ministry could not only technical or based on security assessments, but political as well. But as an industry observer, I corroborate with the decision here and even want to extend it further like for ZTE as well. Chinese vendors can not be ignored by the massive economy like India, as well as Indian service providers are also in likely hood for them. As Indian Cellular operator association chief Mr matthew has also expressed interest of cellular industry of India in favor of Chinese vendors. This all are due to valid reasons of their capability and suiting prices. These view are based on industry observation and from Saurabh Verma, Chief technology Consultant, Fundarc Communication (xgnlab). Will 6G Explore Quantum Communication? #Quantum #physics is entering into #computing and #communication technolgies and future is deemed to be dominated by it. At #CES19 , #Boingo CTO Mr #DerekPeterson emphasized on Quantum communication for next gen technology like 6G ( as per RCRWireless). Industry is focusing on quantum computing, but there were always many paradoxical issues around quantum physics since the inceptions, now days the concepts under discussion are quantum superposition and quantum entanglement. In normal view both are magical things, and under the purview of both concepts, if i give you a quantum computer, will you be willing to use it for your business? as there would be a mirror of that running somewhere else too. That is quantum entanglement, i.e. what ever play you run on your computer, there is same available to other in non causal imprints (i.e. no chance of error). Second thing the quantum communication have no media. As two separate entities, however distant they are, actually One. It means if you find one (or bring out one out of quantum superposition) you already found other, means it preclude all aspects of being found again for other (non causal), as it has oneness with one and only has an opposite face (only way to apply causality is to see them with oneness). This all seems to be paradoxical to current standards and concepts of communication and computing, as computing is about causality and communication is transmission of information, a medium for causality. This causality comes with quantum superposition collapse to certain state, where quantum computing will maintain it, but if communication is based on quantum entanglement causality principle not hold, and to hold it theories of 'hidden variable' kind appears, i.e. no media but hidden information for causality that goes along with the entanglement. Einstein was adamant on causality and supported 'hidden variables' theories, also goes further that quantum theory in itself is incomplete. its not my area to address this subject here, but as per my little understanding, quantum communication (being of entanglement) is not a communication at all, no media therefore no media synchronization, same clock at both end, no error of data, no re-transmission, no acknowledgement. The speed of transmission is speed of computation. Everything is about to change. Breakthroughs in connectivity, artificial intelligence, robotics, virtual reality, augmented reality, autonomous vehicles, wearables and the Internet of Things (IoT) will all impact our lives in ways we can't imagine. Underpinning these technological advancements is 5G. That's why we're calling on the broad wireless industry to commit to labeling something 5G only if new device hardware is connecting to the network using new radio technology to deliver new capabilities. Verizon is making this commitment today: We won't take an old phone and just change the software to turn the 4 in the status bar into a 5. We will not call our 4G network a 5G network if customers don't experience a performance or capability upgrade that only 5G can deliver. Doing so would break an enduring and simple promise we've made to our customers: That each new wireless generation makes new things possible. It is this belief that led us to bring together key device, chip and network equipment manufacturing partners to create the 5G Technology Forum with the goal of developing global 5G standards more quickly. The result was a commercial 5G offering a full two years ahead of original estimates. It's why we committed to build the first 5G Ultra Wideband network. It is the reason we opened 5G Labs to support entrepreneurs and innovators as they build the 5G applications that will change how we live, work and play. And it's the motivating factor behind our sponsorship of 5G development challenges focused on education, public safety, robotics and other critical areas where 5G can impact lives today and tomorrow. We lead by example. And we challenge our competitors, vendors and partners to join us. People need a clear, consistent and simple understanding of 5G so they are able to compare services, plans and products, without having to maneuver through marketing double-speak or technical specifications. Our industry knows 5G will change the world. Let's uphold that promise, while maintaining our integrity. The success of the 5G technological revolution must be measured in truth and fact, not marketing hype.